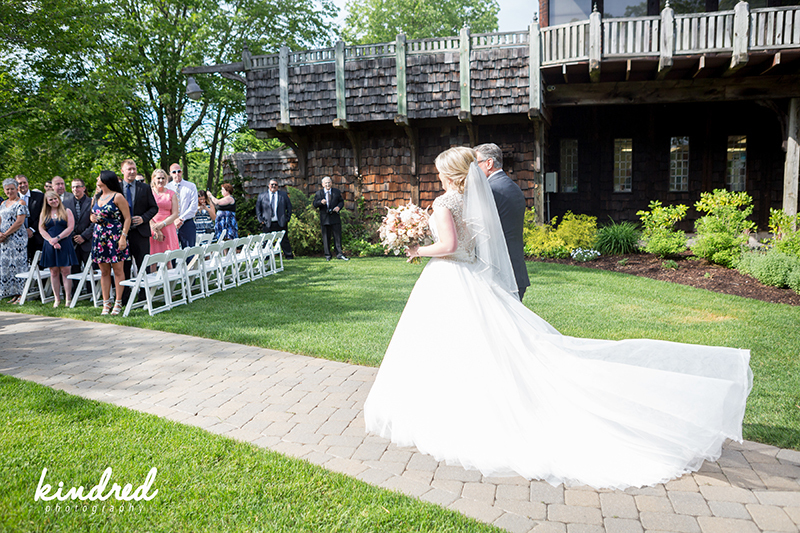 As June comes to an end, we are happy to share the first wedding we had this month! 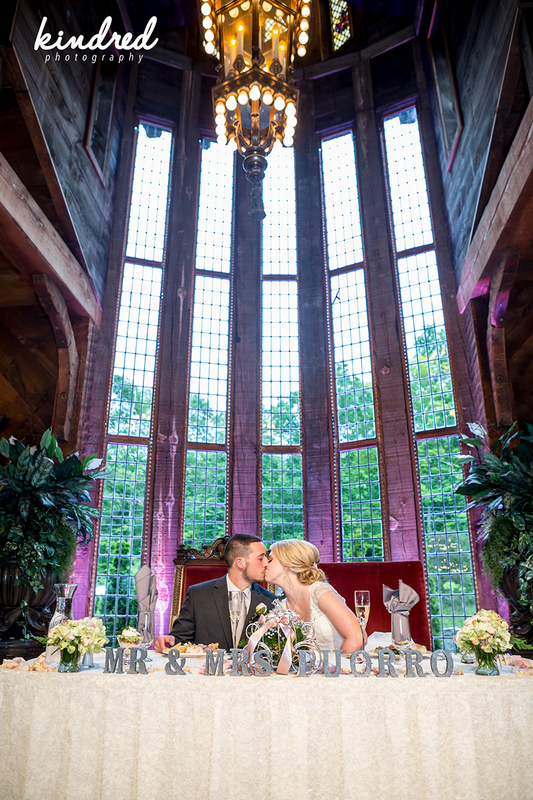 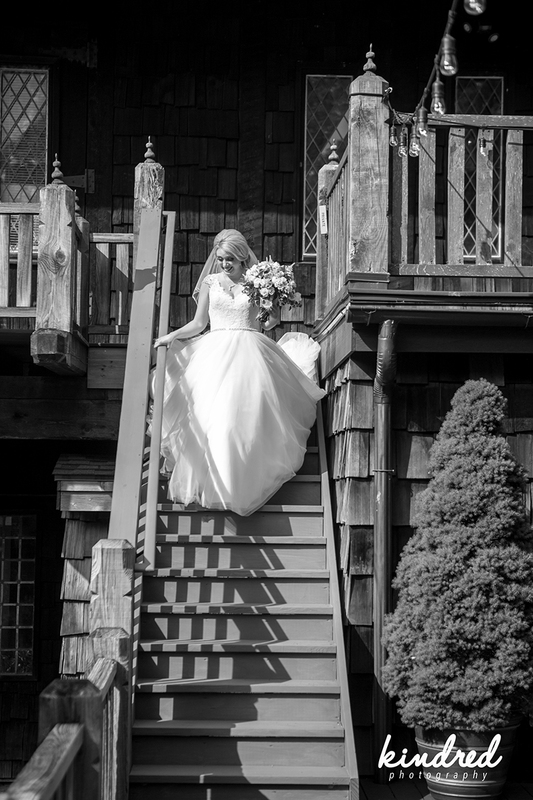 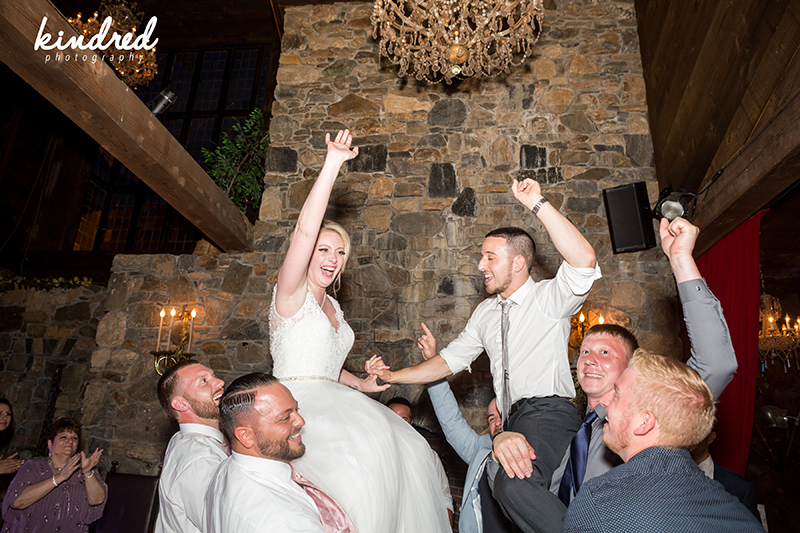 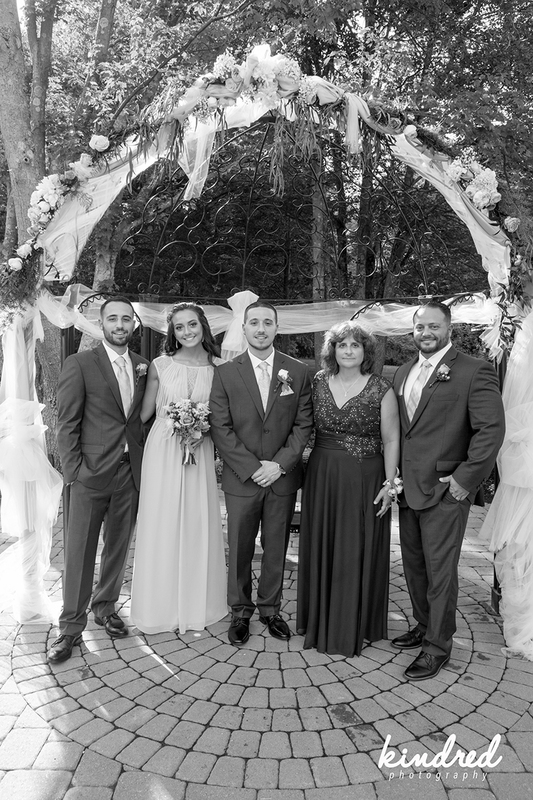 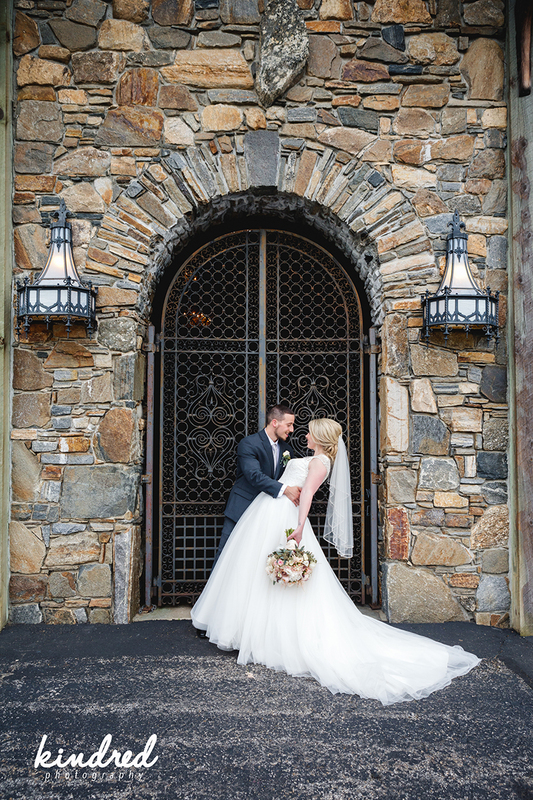 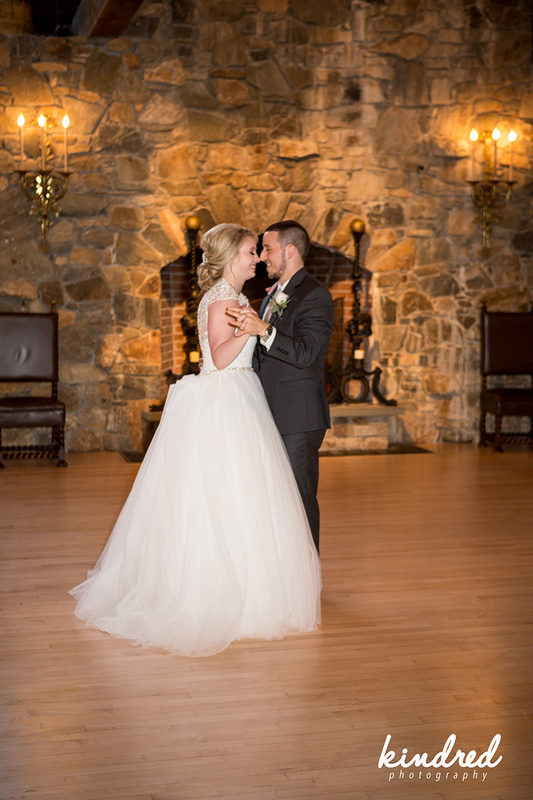 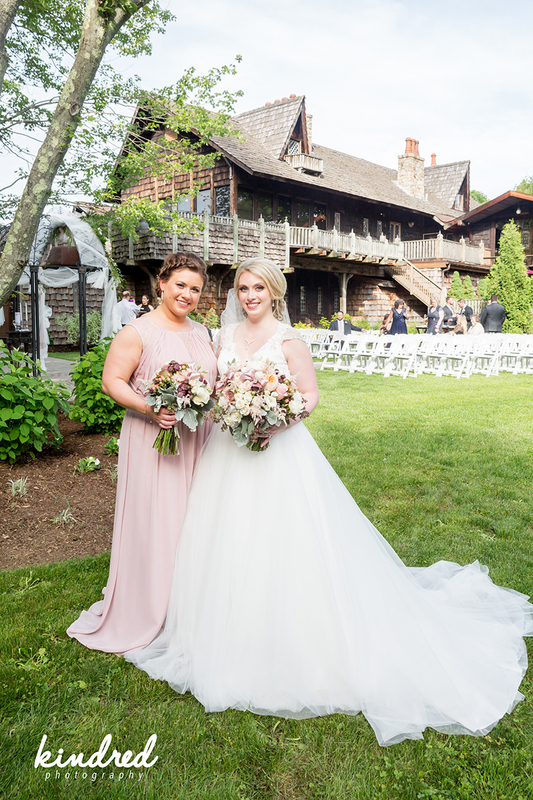 Amanda and Chris were married here at the Castle on June 1st, 2018 and had a lovely June wedding. 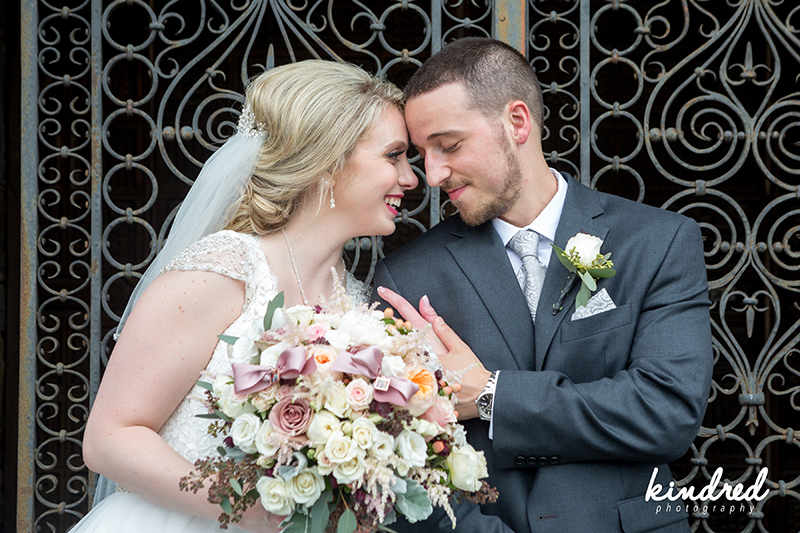 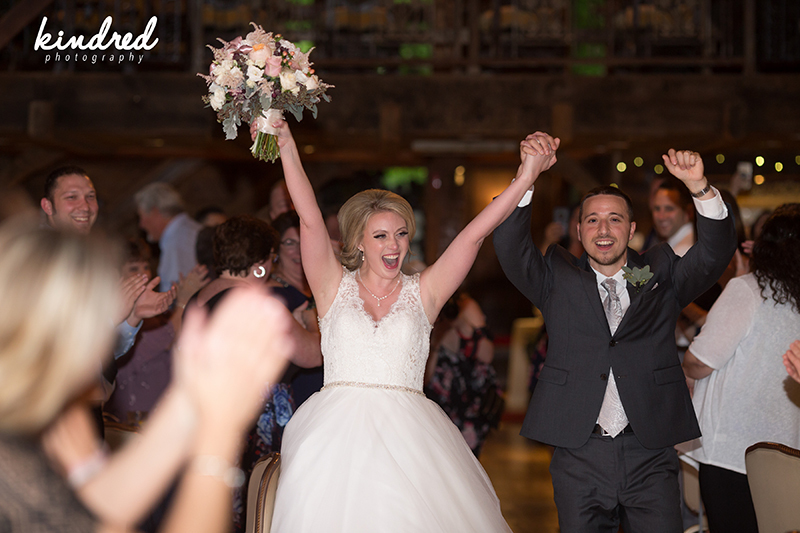 Amanda and Chris are such a sweet couple and Ben and Kim from Kindred Photography were able to capture their love entirely. 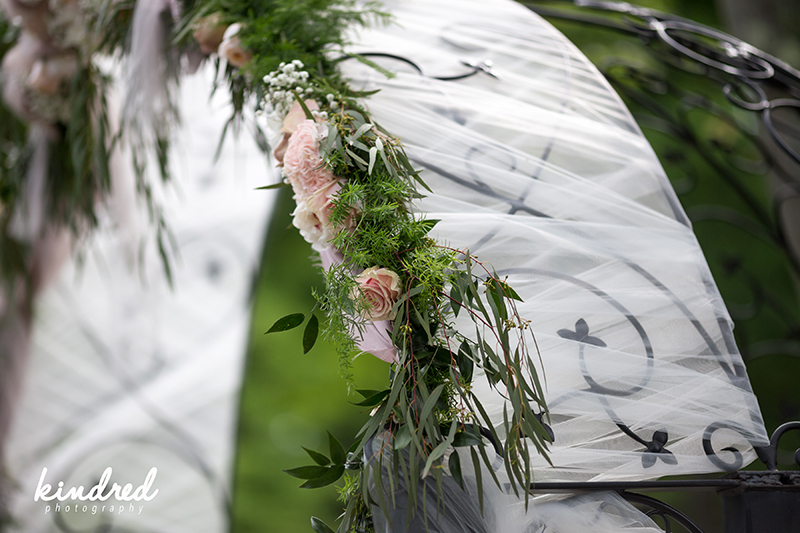 The day started out slightly imperfect as we all woke up to a rainy day. 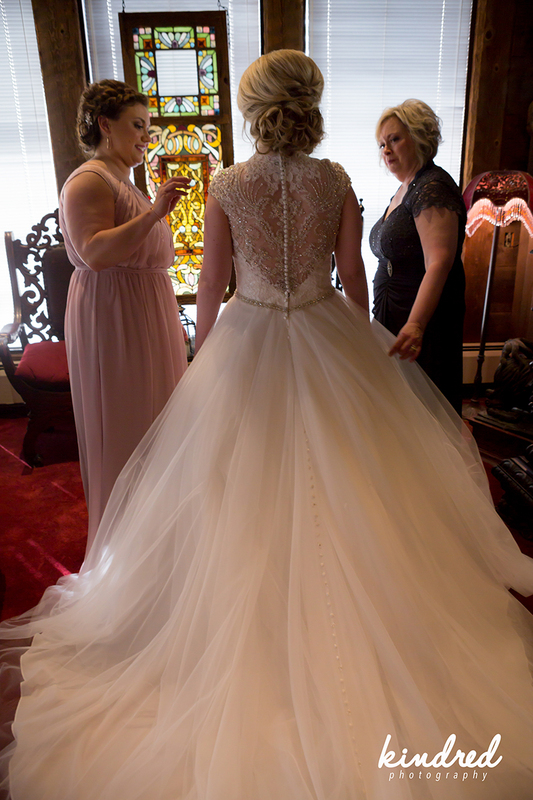 While Amanda and her bridesmaids spent the morning in the bridal suite, everyone’s eyes kept glancing out the windows. 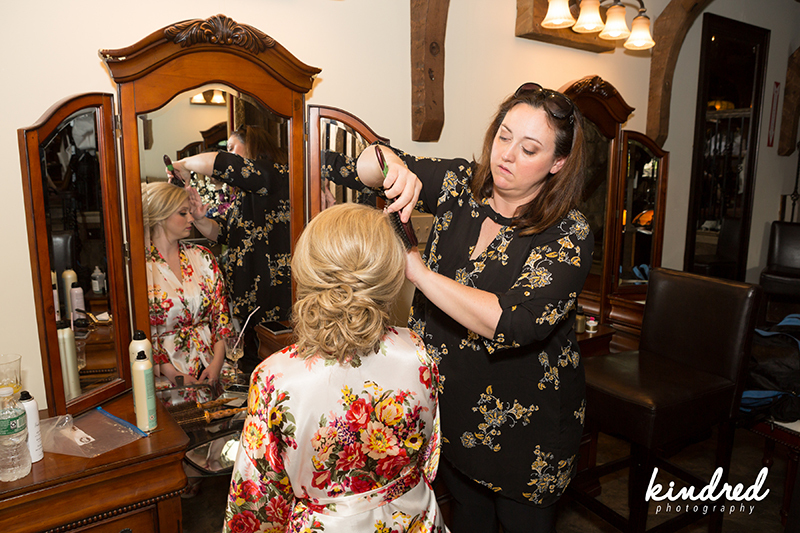 By the time the hair and makeup team finished working their magic, the rain had slowly stopped. 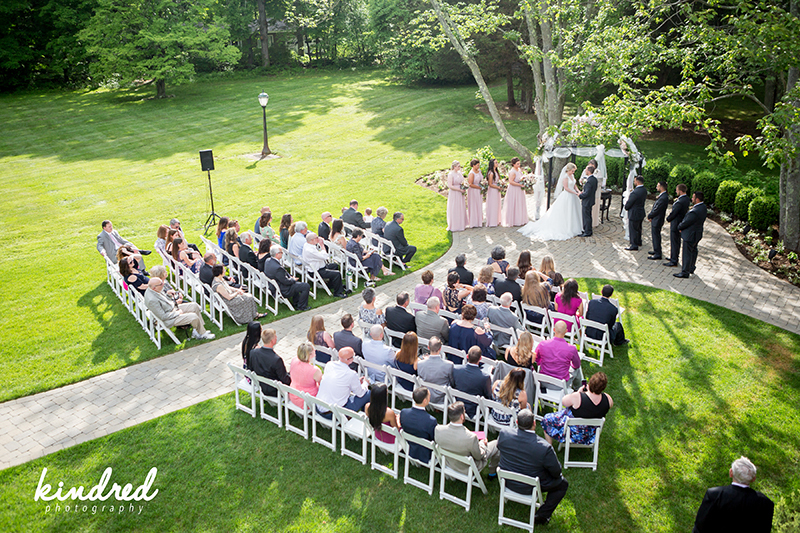 Amanda and Chris were both wishing for an outdoor ceremony and mother nature gave them what they wanted. 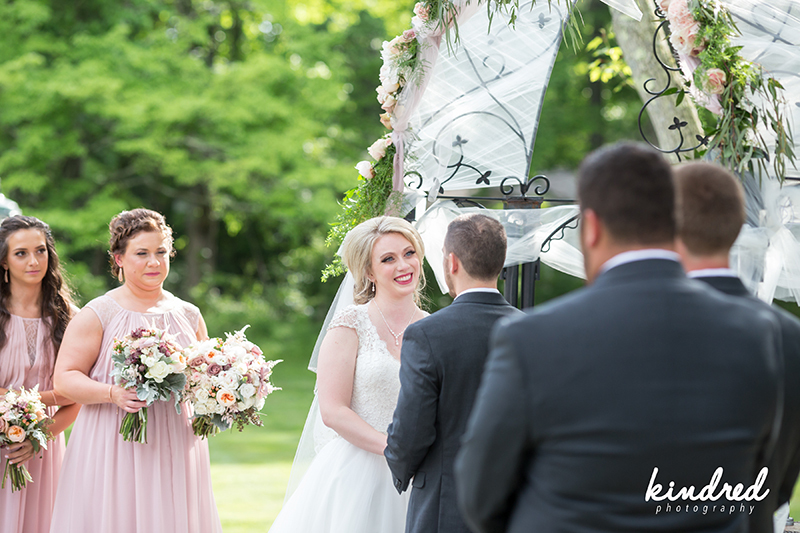 Our staff went to work drying the patio furniture, setting up the ceremony chairs while Wallingford Flower Shoppe built Amanda’s dream backdrop for her wedding. 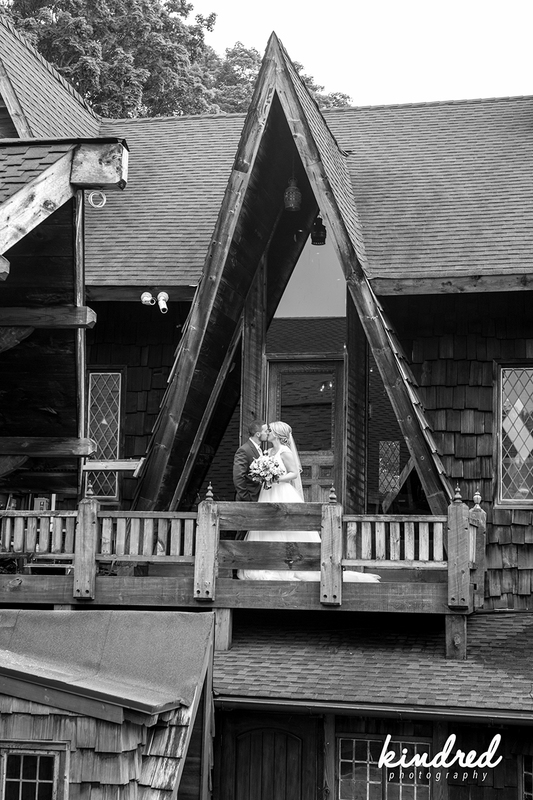 As you look through the photos, you would never have known the day started off a bit stormy. 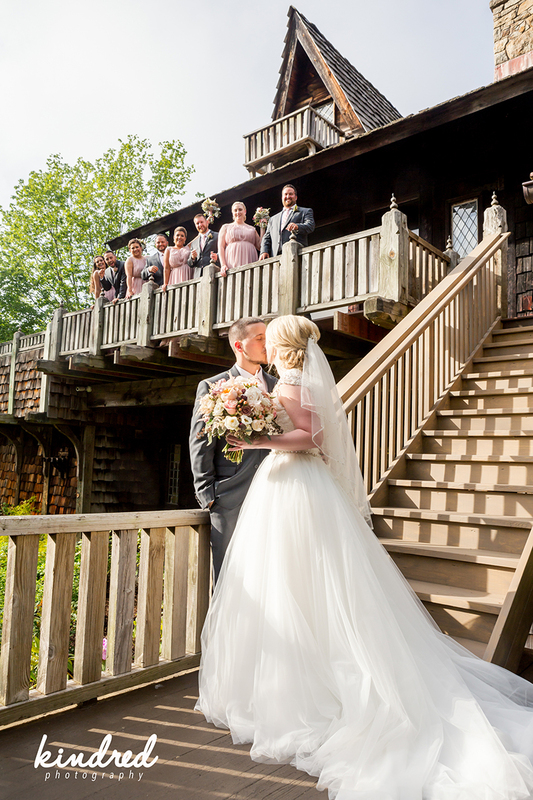 The sun was shining throughout their picturesque ceremony and for the remainder of this blissful day. 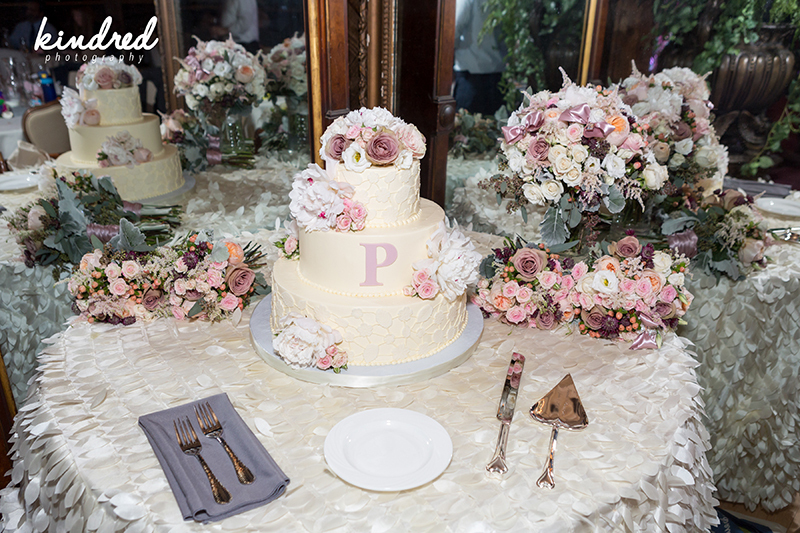 Amanda did an amazing job putting together all the little details. 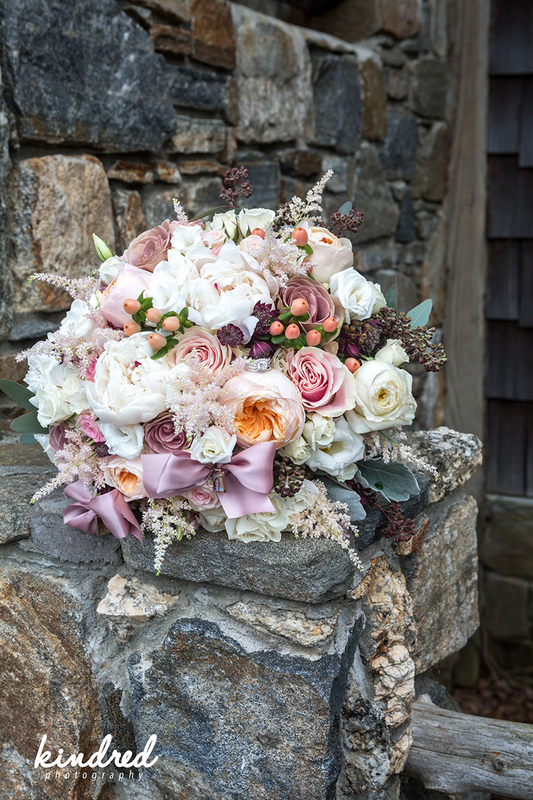 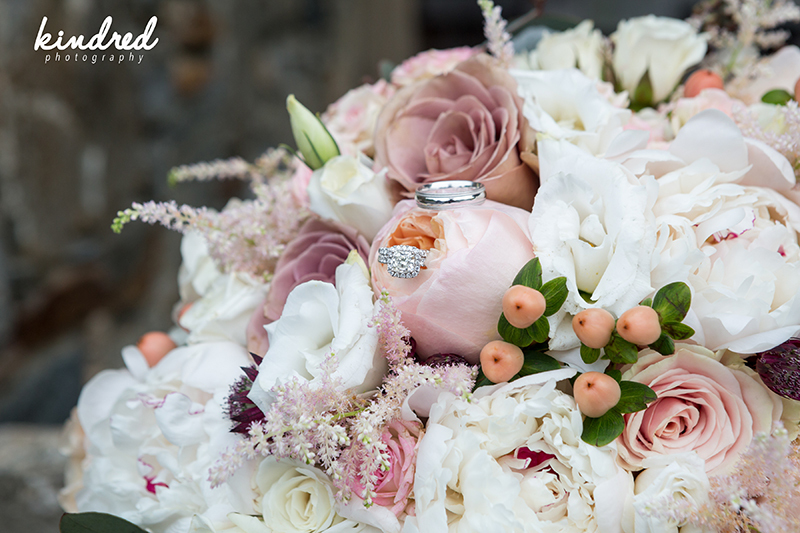 From her party favors to centerpieces, bridesmaids dresses to groomsmen’s attire, bouquets and centerpieces, her colors all intertwined flawlessly. 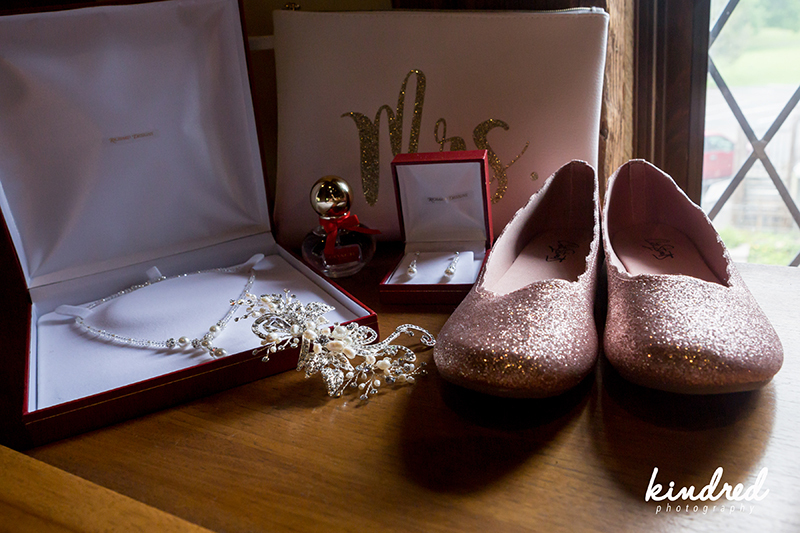 Best part about these blogs are the photos, so I will let them speak for the rest of this wedding. 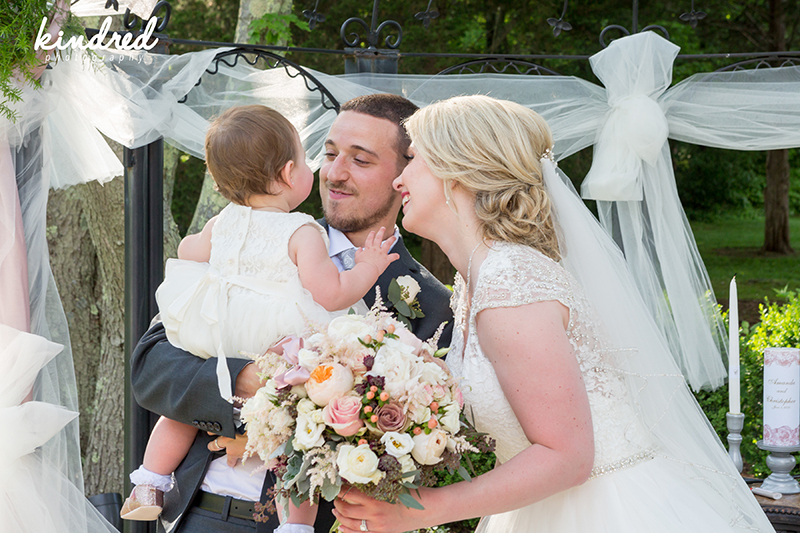 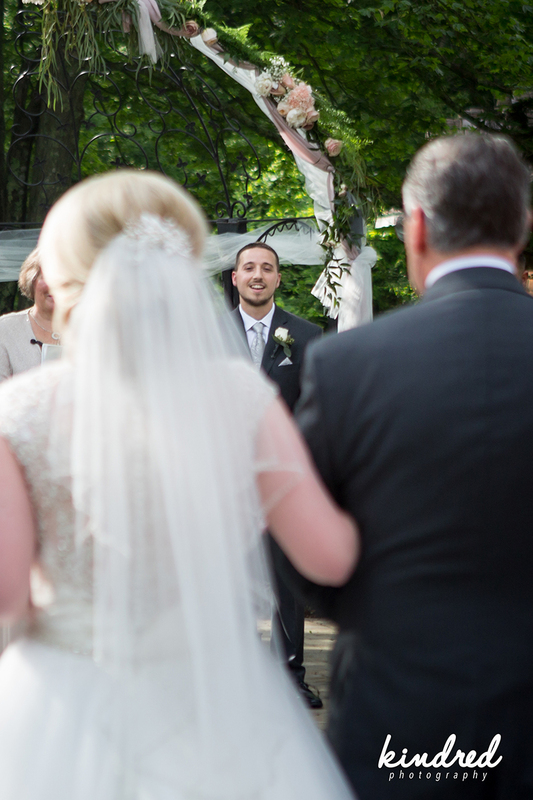 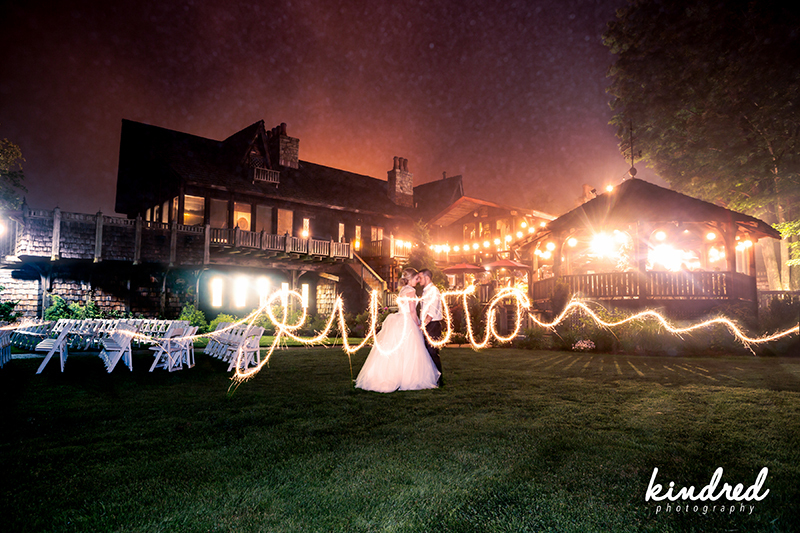 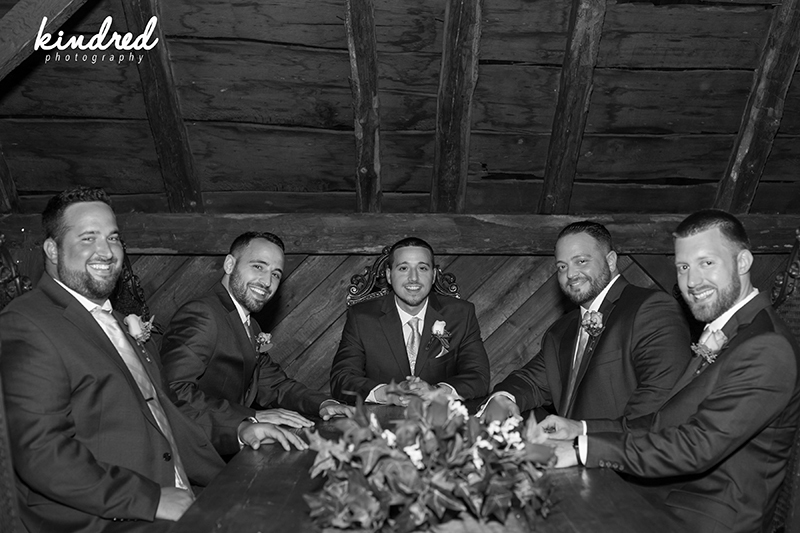 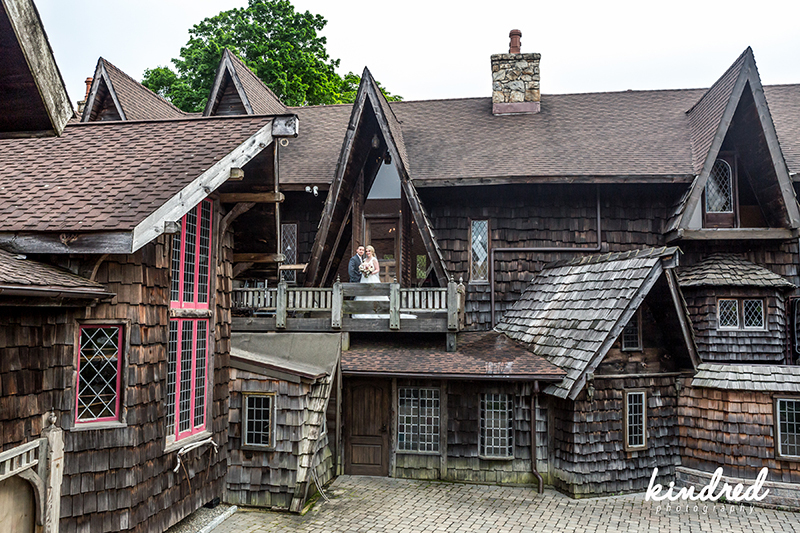 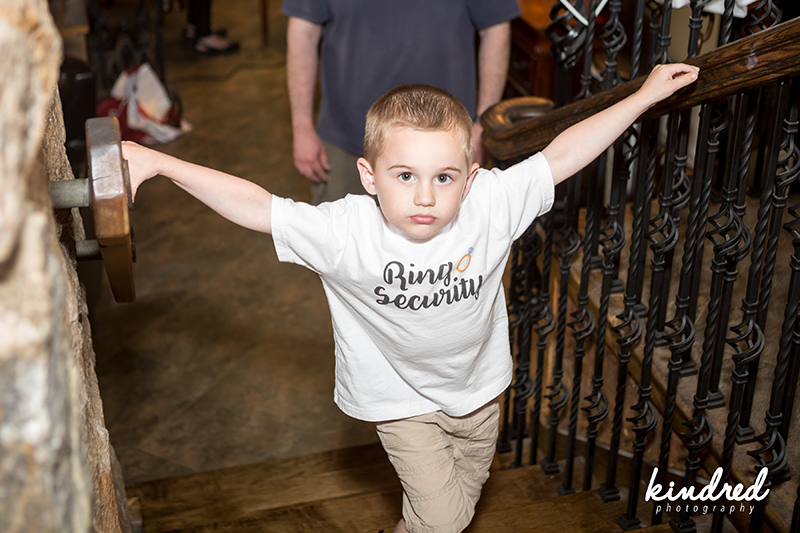 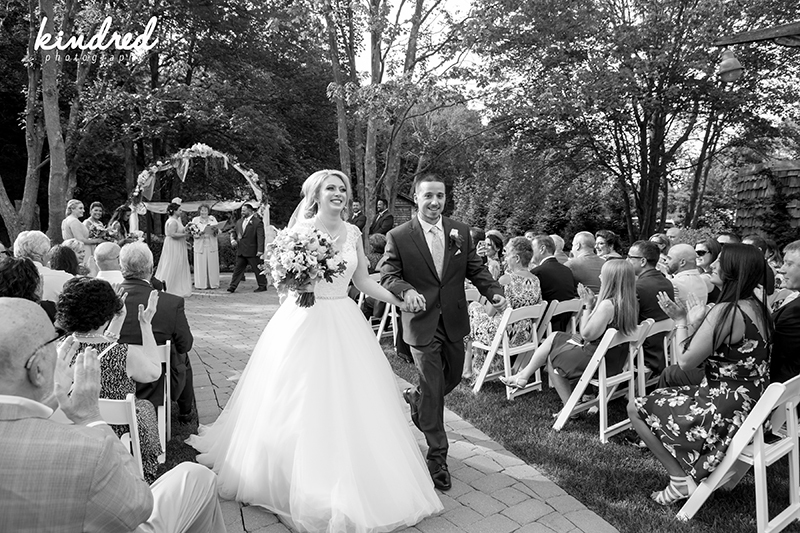 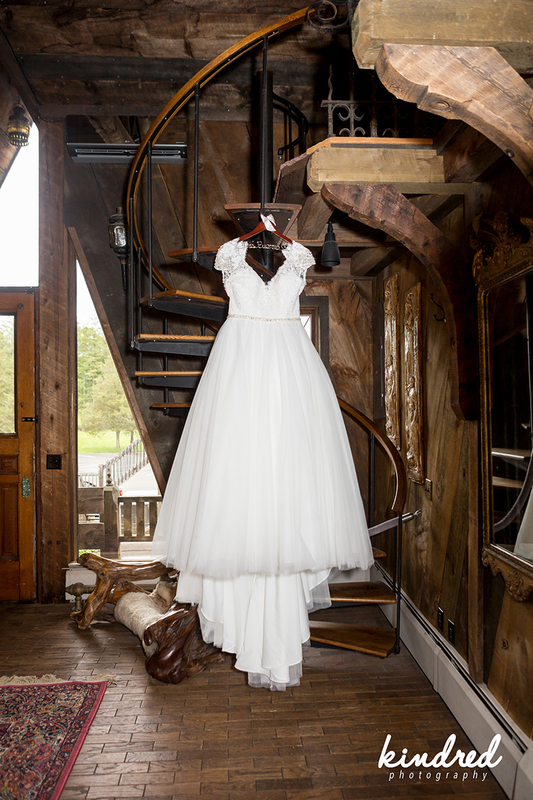 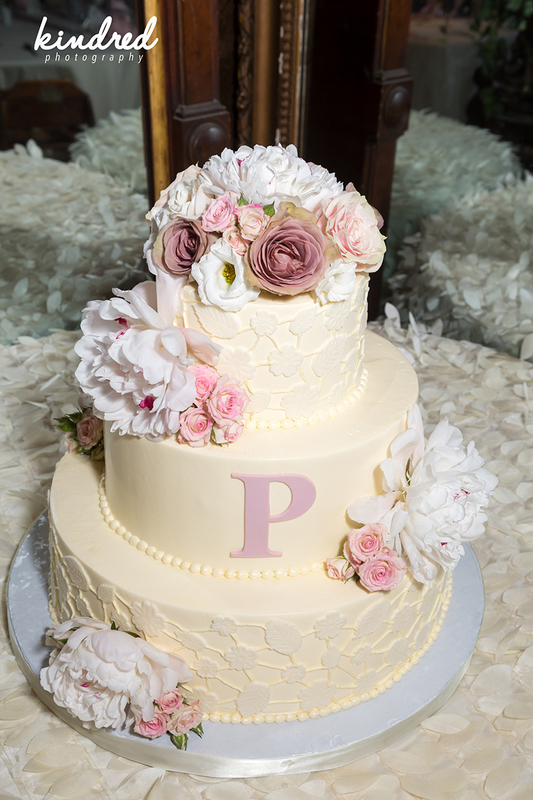 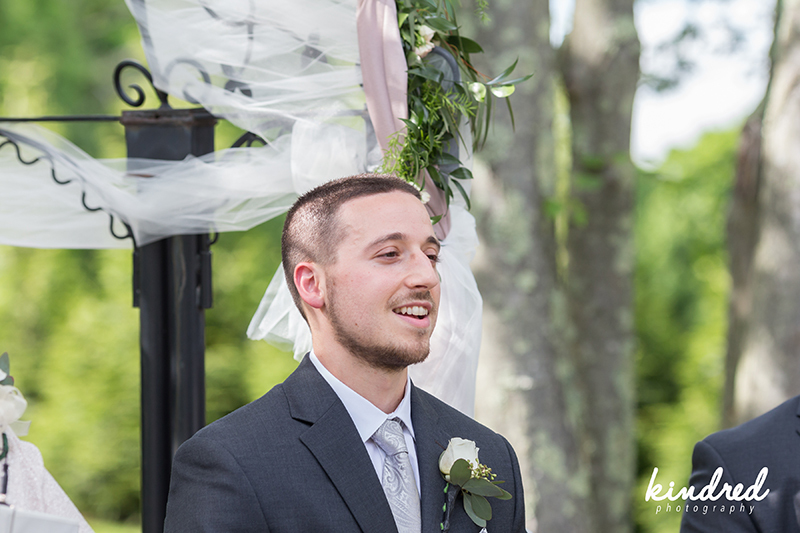 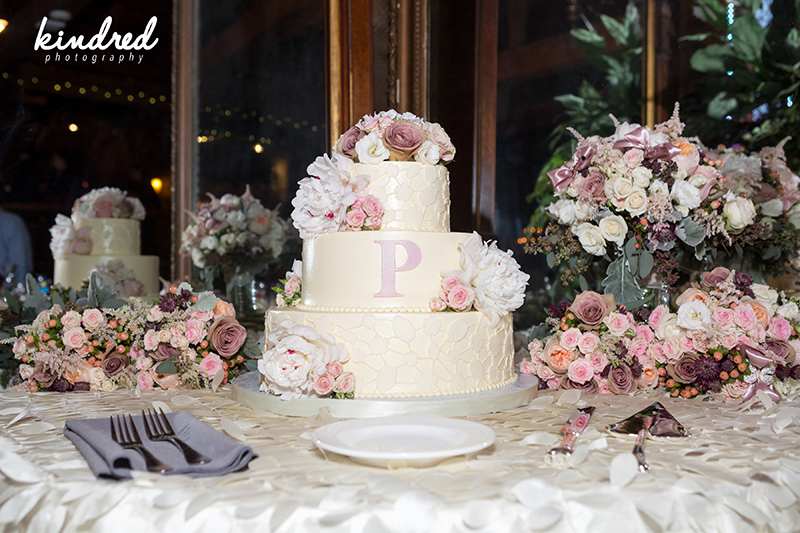 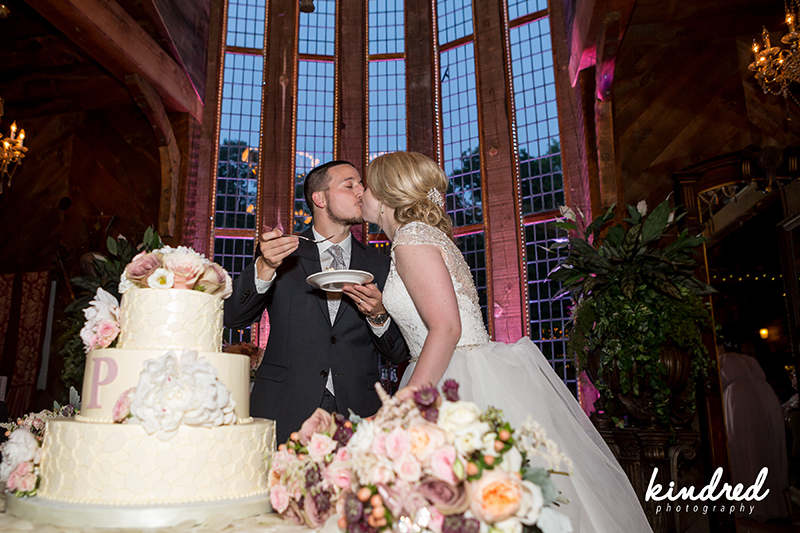 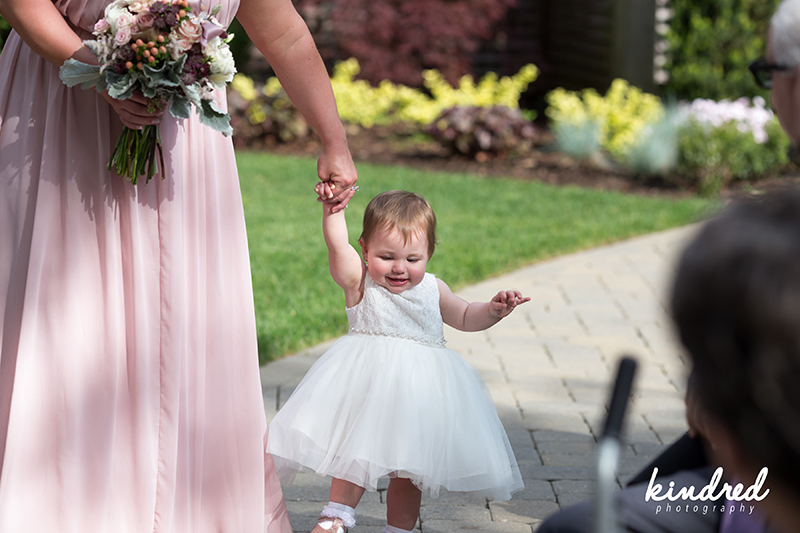 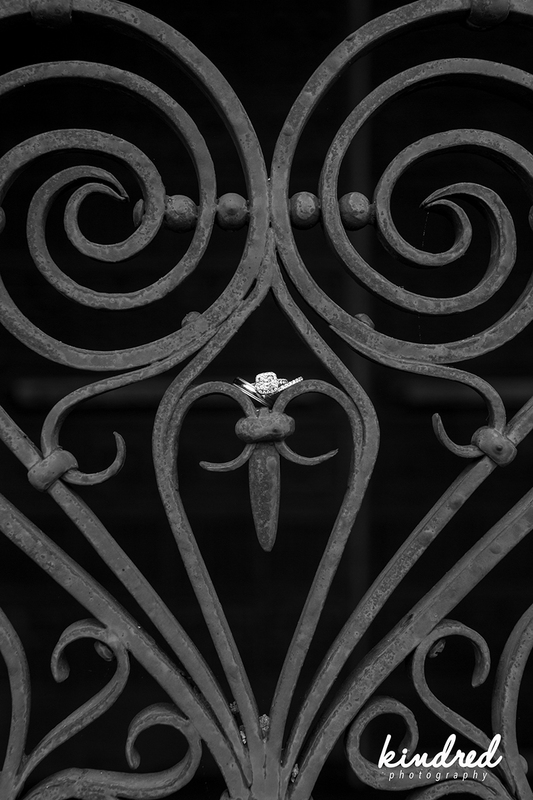 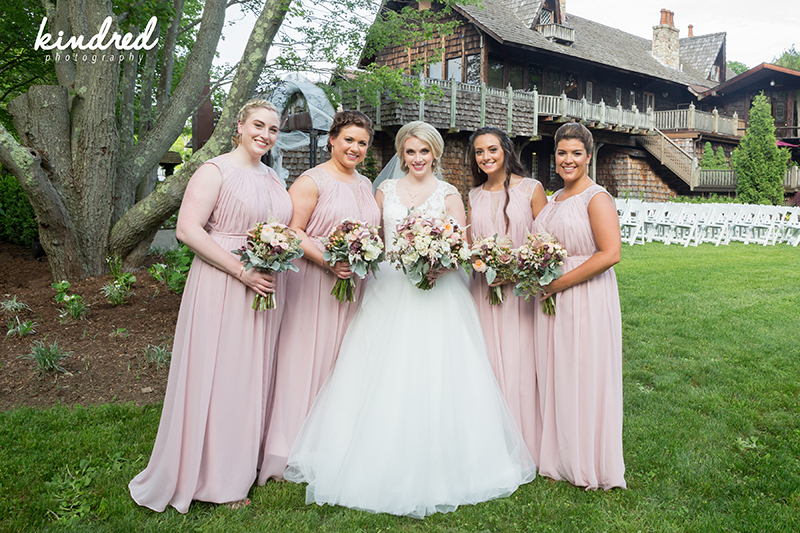 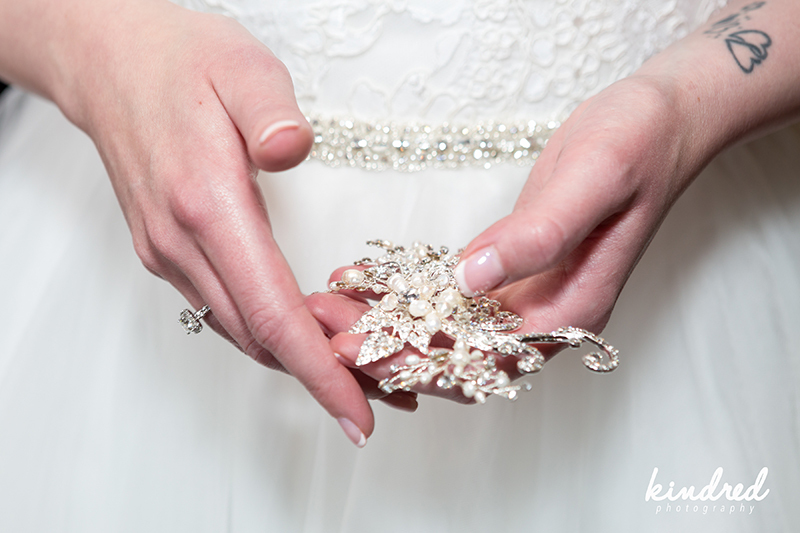 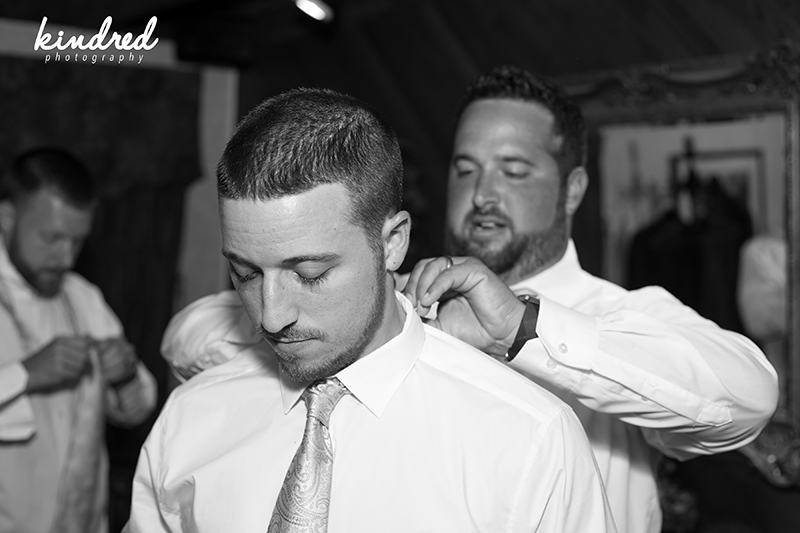 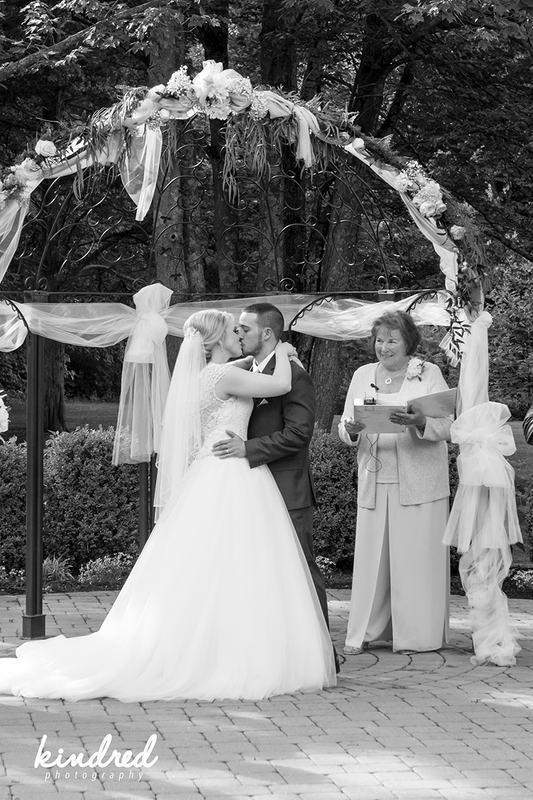 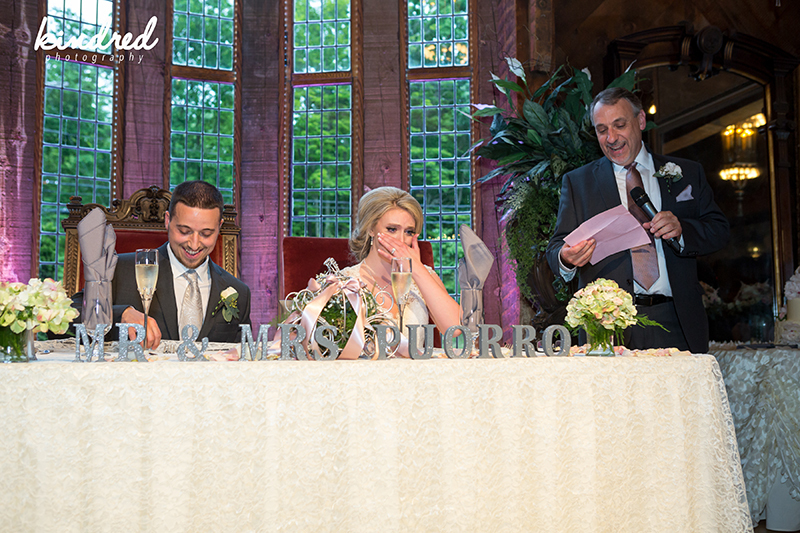 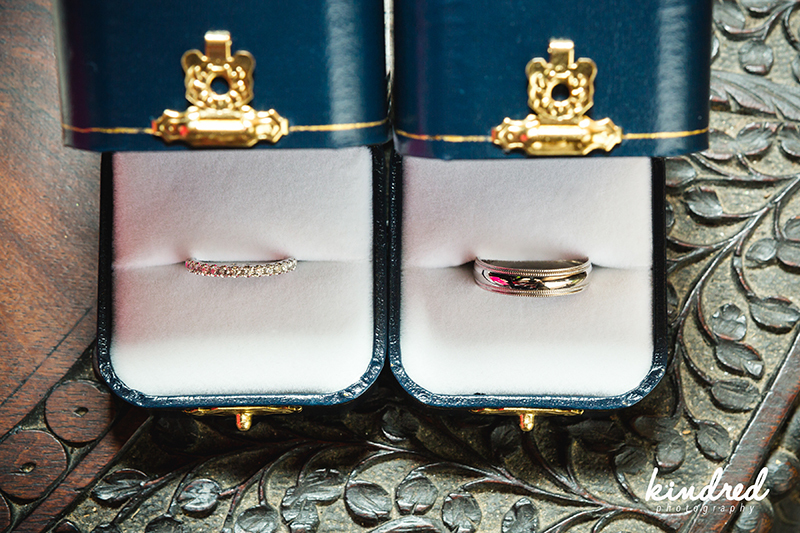 Enjoy the amazing work by Kindred Photography from this lovely June wedding! 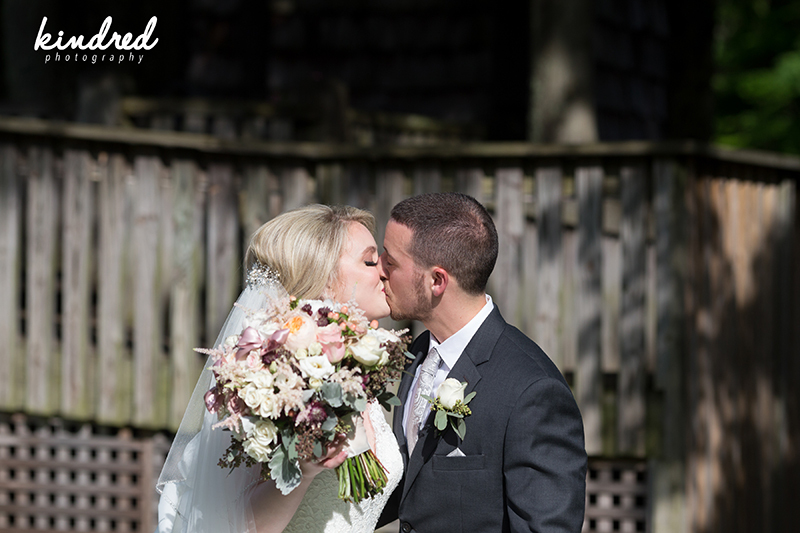 Amanda & Chris- Thank you for having your special day with us here! 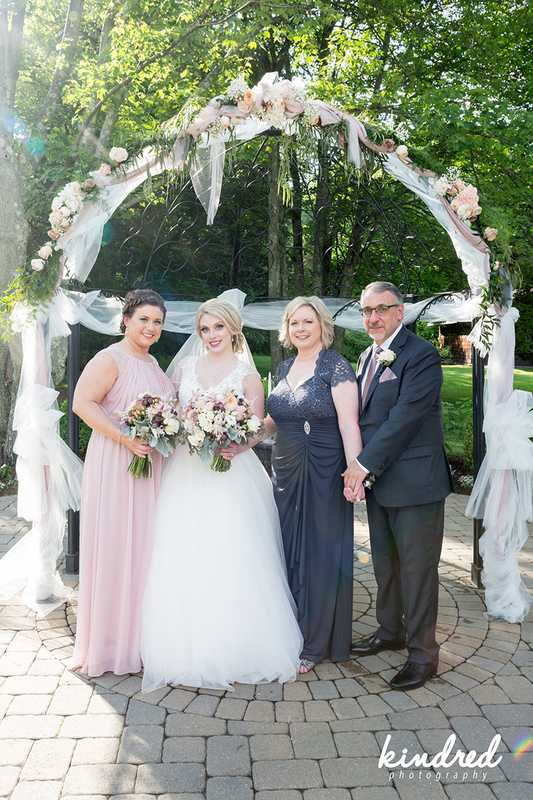 It was a joy working with you both and getting to know your incredible families!